Such, such, such a good book. I got way more than I bargained for. This book was everything and more that it needed to be. There was action, a tough and brave heroine, faeries and, of course, Scotland. There aren’t nearly enough books set in Scotland. But it gets better – The Falconer is set in the 1800′s. Perfect for the historical fiction lover in you. Aileana was a fantastic main character. She was strong, smart, tough and as determined as anything. Pair her with a hilariously cheeky pixie and the mysterious Kiaran, and there you have it. 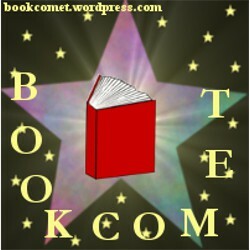 The recipe fora fantastic faerie book. To make the recipe even more perfect, you have to make it your own. And that’s exactly what Elizabeth May did. 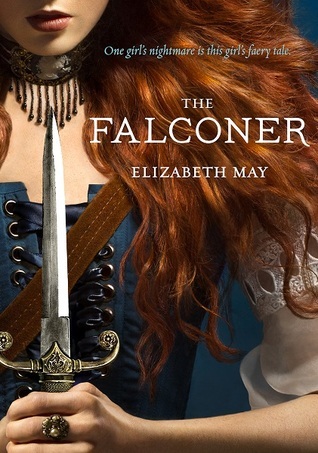 Her writing was fantastic and the imagination and thought that went into The Falconer is evident, particularly through her descriptions and even in the little notes at the end. This book is worth every one of those 336 pages. I really didn’t want to stop reading. Especially at the ending. That ending + a release date of 2015 = recipe for constant checking for a specific date the book will be released. Which will most likely then lead to wringing of the hands. An entrancingly well-crafted novel full to the brim with gripping action and intrigue. Very possibly the best faerie book I’ve read. Bye, bye Earth! Out of this world. Elizabeth May currently resides in Edinburgh, Scotland, with her husband. THE FALCONER is her début novel.